Every genuine battery manufacturer featured in our pages has spend years and considerable amounts of money developing their products, improving manufacturing processes, improving design features and building a reputation for high end quality Batteries, AC adapters and battery chargers. Fake Batteries and battery chargers - counterfeit Batteries and battery chargers are almost always manufactured from cheaper materials than genuine batteries and battery chargers, using inferior processes, sub-standard components and potentially dangerous materials. Many counterfeit Batteries and battery chargers can be described as "a waste of money" and some fake Batteries and chargers are downright dangerous and even life threatening. This issue is also true of batteries and chargers found in our fake computer equipment and fake tools sections. Additionally; genuine battery manufacturers and authorised agents spend years building their reputation for quality products and service. 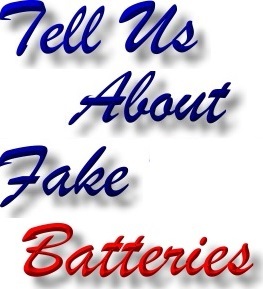 Counterfeit Batteries can usually be described as "cheap Tat". 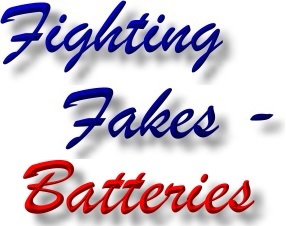 They are usually either blatant copies of quality brands but bear a different name, or they simply bear the name of a quality brand in order to con potential buyers into believing that they are buying a genuine - quality battery or charger (eg; a cheap battery or battery charger which criminals have illegally labeled as being a quality brand). In most cases, fake batteries will not hold charge as long as genuine batteries and the supplied power will not match the supposed rating. Counterfeit battery chargers often do not meet UK safety and legal requirements and may not supply the correct power output or at the correct rate. These factors can mean that the fake battery charger is prone to overheat - possibly melt and should be considered life threatening. There is also an increasing trend for illegal sellers to pretend to be authorized genuine sellers. They then sell counterfeit batteries and fake battery chargers to customers. 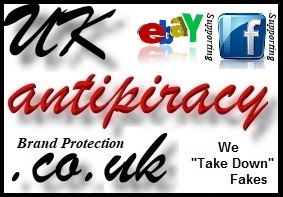 The customer naturally believes that they have bought a genuine battery or charger and blames the legitimate manufacturer (often via online forums and also by "word of mouth"). This phenomenon can have devastating repercussions for the genuine manufacturer and can ruin a company's good name. 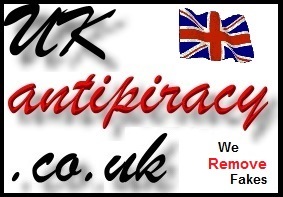 Comments made on these pages do not necessarily reflect the thoughts or opinions of UK Anti Piracy, its clients or partners.